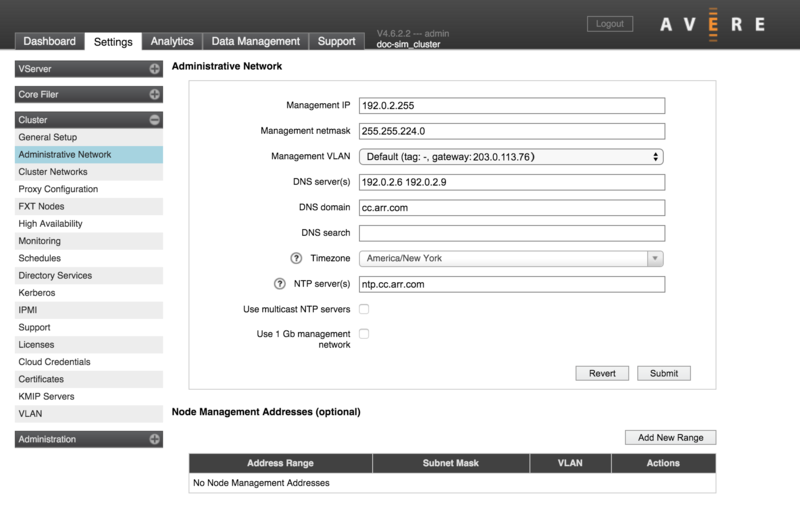 The second page in the Cluster section of the Settings tab has network configuration options. Networking settings are configured when you create the cluster (read Section 2 of the Avere Quick Start Guide for details), but they can be changed on this page. A feature called Advanced Networking, which enables multiple VLANs and a few other network features, was optional in earlier versions of Avere OS. Clusters that were upgraded from before Avere OS 4.5 might still have this feature disabled. 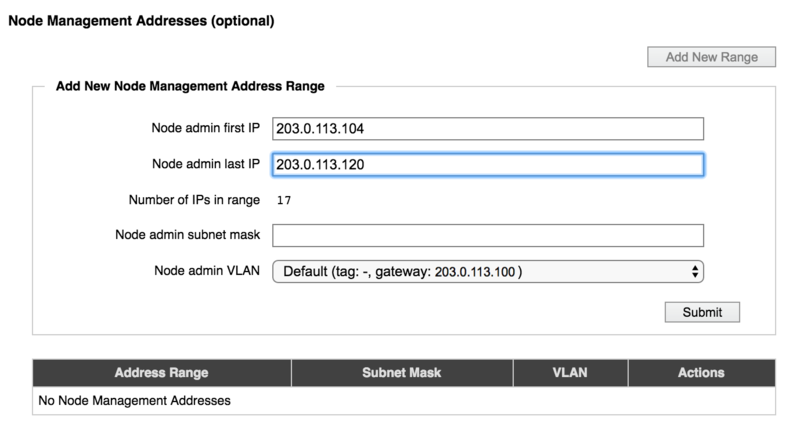 If a blank checkbox labeled Enable advanced networking appears on the Cluster > General Setup page, then advanced networking has not been activated for this cluster. The feature cannot be deactivated. These settings are described at the end of this document in Settings for Clusters that use Basic Networking. This setting does not appear on clusters with advanced networking disabled. If advanced networking is disabled, only one address range can be defined.